Plenty of forward planning is needed when organising a conference: fine-tuning the programme, selecting the best speakers and ensuring delegates get the most from the event. What was not drafted into the events diary was a battle against the combined efforts of the Beast from the East and Storm Emma. 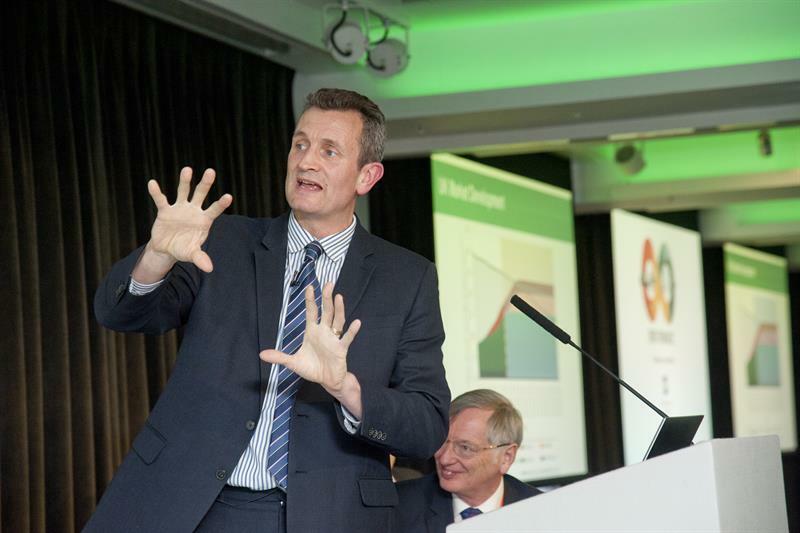 Despite the unforgiving forecast, a record number of delegates attended last month’s Energy from Waste conference, with the venue at County Hall offering the perfect refuge as a place to network, learn and debate on the key issues in the EfW community. With a wide programme which covered all parts of the sector: technical, regulatory and best practice, there was plenty to absorb, all guided by seasoned chair Ian Crummack, managing director of Cobalt Energy. Throughout the two days, there was a relentless sense of optimism that despite controversy, failed projects and misconceptions, EfW has earnt its stripes in the UK. Speakers argued that the process offers a real alternative to battle the country’s ongoing waste issues. And the delegates who bravely battled the elements represented a real commitment to progress within the sector. RWW contributor Maxine Perella chaired a lively panel on the changing face of the waste process and its circular economy potential. Andy Pike, of Cory Riverside, the location of the conference’s site visit, described how products of EfW contribute directly to the circular economy. Stuart Hayward-Higham, technical development director at Suez, said the changing nature of EfW makes it suitable for the circular economy. He said: “EfW is definitely part of the system and plays an important role. It’s had to learn some hard lessons [with reference to failed projects] but we can’t just look at this from a black-and-white world. There were further presentations on the residues of EfW, mainly IBA and APC, and the opportunities these offer to create closed-loop solutions, reaffirming EfW’s circular economy credentials. As well as economics, finance and business issues, the conference also looked at operational aspects of successful EfW delivery. It’s no secret that the UK has witnessed a series of failed EfW projects, for many complex and convoluted reasons. However, with comparisons to Europe’s thriving Waste-to-Energy market, the conference looked at how to move forward with the lessons learnt. Delegates also heard about the many opportunities EfW can offer the UK, which included a best practice example from our northern neighbours in Scandinavia. Crispin Matson from Ramboll delivered a presentation on how heat networks in Copenhagen are combining with large EfW plants and other sustainable sources to create an efficient source of energy for the capital. Woven into the fabric of all conversation when discussing the future, Brexit proved to be an expected focal point. Given the European feel to the conference, and with many delegates coming from mainland Europe, questions understandably began to rise over the UK’s somewhat uncertain future. Plenty of speakers touched on the topic, often to ponder over what the regulatory landscape might look like. Some predicted that the UK will take its cues from the European market, while others argued it may revert to World Trade Organization rules without a customs market. Reflecting the mood across the river in Parliament, the conference’s speakers and delegates were unable to come up with a concrete conclusion, once again leaving uncertainty as the only certainty when it comes to Brexit. Perhaps the boldest presentation came from Environmental Services Association (ESA) executive director Jacob Hayler, who had plenty to say on policy and government intervention. Hayler also used his platform to challenge the government’s 25 Year Environment Plan, arguing that plastic-free aisles and zero avoidable waste targets, “whatever that means”, will not deliver a solution to the treatment capacity gap.